Lateral Grifols Australia designs, develops, manufactures, distributes and supports a comprehensive range of blood bank laboratory products, providing an integrated range of blood banking solutions for all size laboratories, with a focus on safety, quality and innovation. Lateral Grifols manufactures gel cards, a unique range of Reagent Red Cells, associated diluents and solutions at its purpose built facility in Clayton South, Victoria. This manufacturing plant is state-of-the-art with a third of the power requirements sourced from the sun. Lateral Grifols also uses rainwater and recycling systems throughout the facility to reduce water consumption. The Reagent Red Cells are made from Australian donations (and available via the NBA Reagent Red Cell contract for laboratories that qualify) in Australia or from NZBS supplied raw materials for the New Zealand market. Diagnostic Reagent Red Cells manufactured for the international market are sourced from international suppliers. 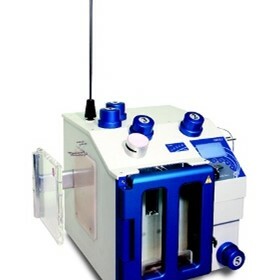 Lateral Grifols also manufactures its own line of instruments for blood group serology including the Australian International Design Mark 2010 Award winning STATx Reader, COMBItherm Incubator, SPIN 12 Centrifuge and the SHUTTLE Zip Fully Automated Analyser.